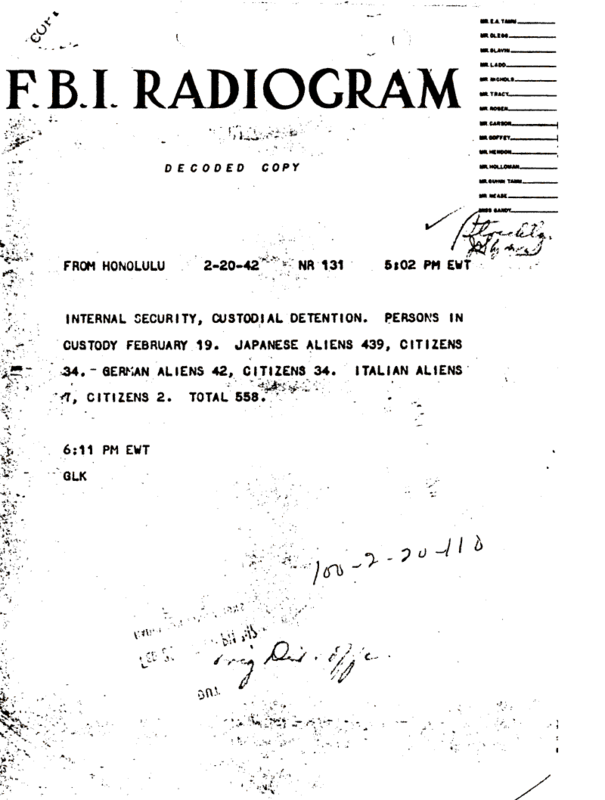 Document Notes: Summary of people in custody as of Feb. 19,1942. Note 70 citizens involved. All of Japanese decent, citizen and Japanese nationals, alive in 1988 were eligible for $20,000 and an apology. Others got nothing.